I had the pleasure of photographing Marguerite and Anthony's wedding yesterday at Saints Austin & Gregory Roman Catholic Church, Margate and Quex Park, Birchington. As I drove up to Thanet from Sandwich it was pouring with rain but, on arrival, the sky cleared and the weather was beautiful from then on - just as it should be! I've finished processing their images - please check out their wedding gallery. Wonderful photos, we are all so pleased! Of course I will credit you whenever your pics are used! I post usually in US & Australian galleries, although also work for a Designer in the Ukraine!!! I'm so excited to start wotking with these, LOL! 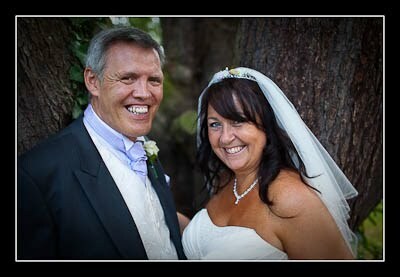 Thank you David for your wonderful photos...particularly as I know I was not as relaxed as the Groom was !!! Everyone has commented on how fabulous the pictures are and the slideshow DVD to music is a wonderful treat for guests to see! Marguerite xxxxx AKA THE BRIDE !